Posted January 3rd, 2014 by a_russell & filed under Bodacious News, Holiday, iPhone News. New Years 2013 has been a bodacious roller coaster for all of us here at Bodacious Cases. We have had a lot happen and we try to share it with you, but sometimes it’s hard to share everything. New Years is about a clean slate, a clean year to do things a little different. Another year is gone. Another year has started. We all always say we’re going to do this and do that, but most of us never stick to our New Years resolutions. Why not? Because we aren’t motivated. We don’t have anyone to help us stay on track. This year I hope you challenge yourself to do what you want! I challenge you to stay motivated. We have a lot of HUGE plans in store this year and we hope you continue to take the ride with us. We don’t like being the same, so we are going to continue to strive to be better as a company and as people. 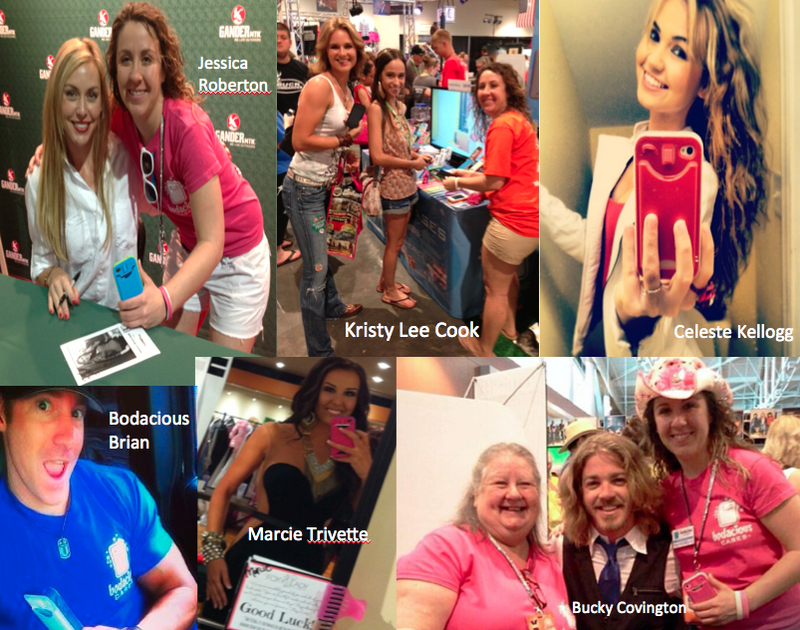 In 2013 the Bo team and I got to travel the country and meet A LOT of bodacious people. We’ve been to Texas, Nashville, Michigan and many other places. As a 26 year old I’ve done a lot of things that would never have been possible without you guys. I’ve become close with many of you and feel like we’re a big family in a way! We wouldn’t be creating jobs if it wasn’t for you guys. I get to spend most of my days with a wonderful Bo team and most importantly get to learn from my best friends who happen to be my parents. Working so close with my mom has not only made me a better person, but a better business owner and entrepreneur. We wouldn’t be sending Bo around the country if it wasn’t for ya’ll. We went into our first retail stores this year, got a new manufacturer that is like a family to us that is less then 30 minutes away, we’ve expanded our team A LOT, launched the iPhone 5 and iPhone 5s cases and we will continue to grow in 2014. I challenge you this year to buy more products Made in America. If every American spent just $64 on American made products, we could create 200,000 American jobs. Let’s get this country back where it’s supposed to be. In this blog you’ll find some pictures as we look back on 2013 and look forward to 2014. In these pictures you’ll see Amanda Watkins, Kristy Lee Cook, Celeste Kellogg, Bodacious Brian one of our Bo models and many other misc. pictures. All these people in these photos are people I respect and look up to and had the pleasure of meeting in 2013. These people are not only very talented, but they are overall bodaciously good people! Please check them all out. As someone told me the other day “you’re the underdog” and we are. Most of us are, but don’t let that stop you. Those who aren’t the underdogs started somewhere also. Bo is growing and we can’t wait to have you join us for 2014. We pray you have a BODACIOUS year!